AutoProtect supporting Streets2Homes to help address homelessness in Harlow. The Streets2Homes charity provides a day centre which seeks to reach out to and help homeless people. It provides a safe and friendly environment to assist people without a permanent home in a range of ways including finding accommodation. In addition, linking with a wide range of agencies and organisations, Streets2Homes day centre provides a place to access housing advice, training sessions, employment advice, health services, washing facilities, food, clothing, general guidance and crucial social contact for people who are often struggling. Analysis published in November 2018 by Shelter revealed that 320,000 people were recorded as homeless in England and that this number was rising monthly. The research also identified the scale of the problem by local authority. In the Top 50, Harlow was identified as the 31st ranked local authority for homelessness. The glimmer for optimism is that thanks to the combined efforts of numerous bodies the level of homelessness in Harlow is now finally falling. 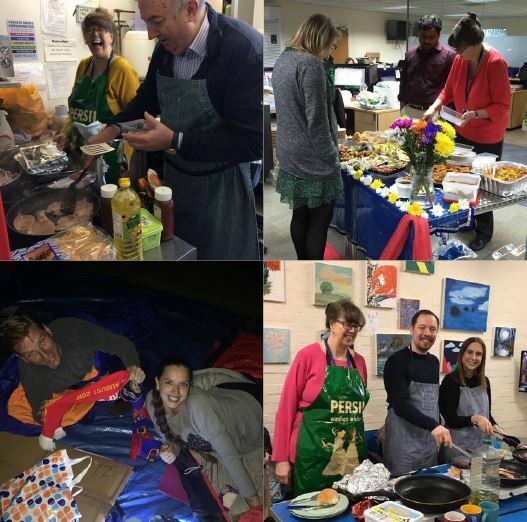 AutoProtect’s fund raising activities during 2018 were quite varied. Really well received by S2H clients were ‘Fry Up Fridays’, providing hot breakfast once a month from the S2H kitchens. Other events included Easter egg and Christmas Raffles; a Diwali celebratory food sale and the slightly off the wall ‘donate your pants’ day, clean underwear is just one of the many items that are always in demand by S2H. In total, AutoProtect collected close to £9,000 during 2018 which enabled S2H to purchase a new catering oven. We are hoping to do even better in 2019.